*All gear reviewed is my own, purchased privately with my own money (unless otherwise advised), onions on the site are my own, no warranty or obligation is offered with the contents of this site. Im a 37 year old telecommunications engineer from Melbourne. 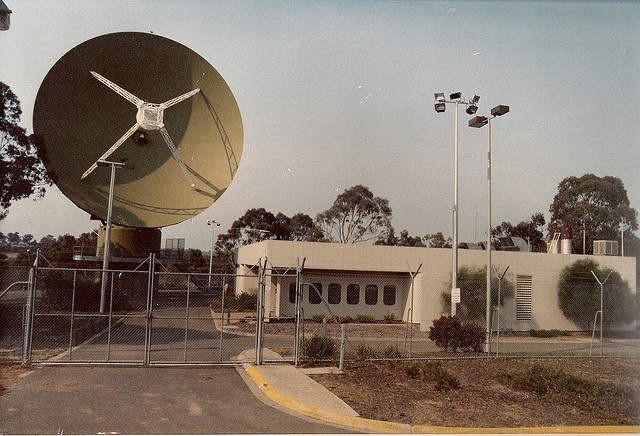 I grew up in greensborough, not to far from the simpson army barracks at watsonia, back in the early 1980’s they had a large norad dish on site, and many antennas as the base is a key signals training site for the australian army. I think this is a picture of the dish! This got me interested in radio, along with a short wave radio, I spent many nights listening to signals form all over the world. My high school had an active ham radio station, vk3ie and I helped run this over the years. I acquired an old yaesu FRG7 receiver and moved into CB before getting my Limited class license in 1994. I became vk3xas. It also lead to my career. Designing and Optimising mobile phone networks. In 1999 I moved to Sydney for work and became vk2two and then in the late 2000’s vk2xe. I moved back to melbourne with work in 2010 and am now vk3bq. And I am a 6m (50mhz) tragic, having worked from vk2 to. V31pc in Central America from the car in 2001!! I have made sure my car/mobile set ups always work well, as I spend most of my radio time in the car! I enjoy contesting and field days, and am discovering the digital modes, as they seem to give me the best bang for buck for my limited antenna setup! Hi Andrew, I followed your link from the HFRC members forum. Nice website. I was wondering. I am about to travel from SA to Melbourne this month and would like to program all the VK3 2m, 70cm and IRLP enabled repeaters into my Icom ID880. Do you know of an up-to date listing of VK3 repeaters and their frequencies/offsets/tones? Thanks 😀 (i emailed you some info). Good to see you are still interested in radio and now blogging. Interesting blog!!!!! I keep learning and reading your adventures… thank you!!!! !